Pharmaceutical: Creates a perfect, burr free, square surface. 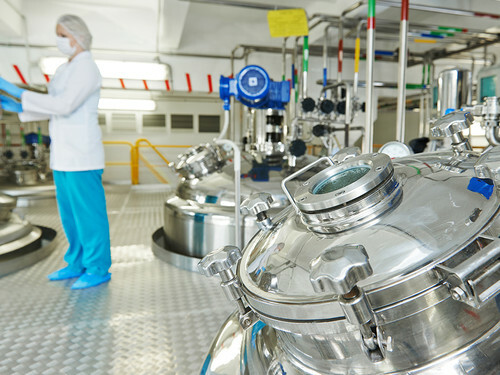 The pharmaceutical industry uses manufacturing processes where stainless steel pipes and flanges are omnipresent. These pipes and flanges must be at zero contamination levels when used. Therefore, all the fabrication stages in the different maintenance and construction operations must be beyond reproach in this respect, such as machining parts prior to welding. PROTEM machining equipment has been specially designed for this type of specific use. The chips generated by machining are easy to collect and are evacuated outside the pipe. No particles are released into the environment. Clamping is done on the outside of the pipe to avoid damaging the inside of electro-polished pipes and to avoid causing contamination. This also guarantees perfectly concentric clamping and avoids any pipe deformation even on thin-walled pipes.